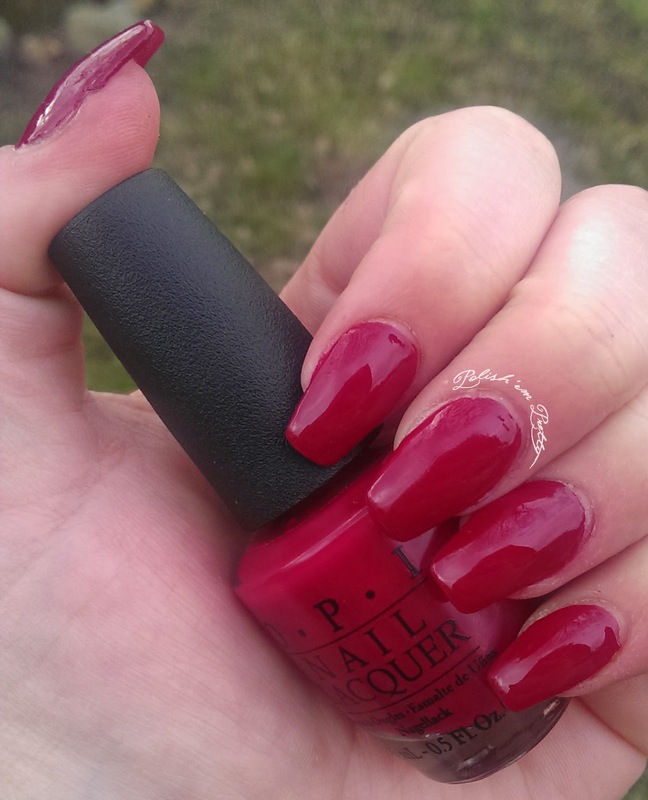 Today I have a polish from OPI to show you. 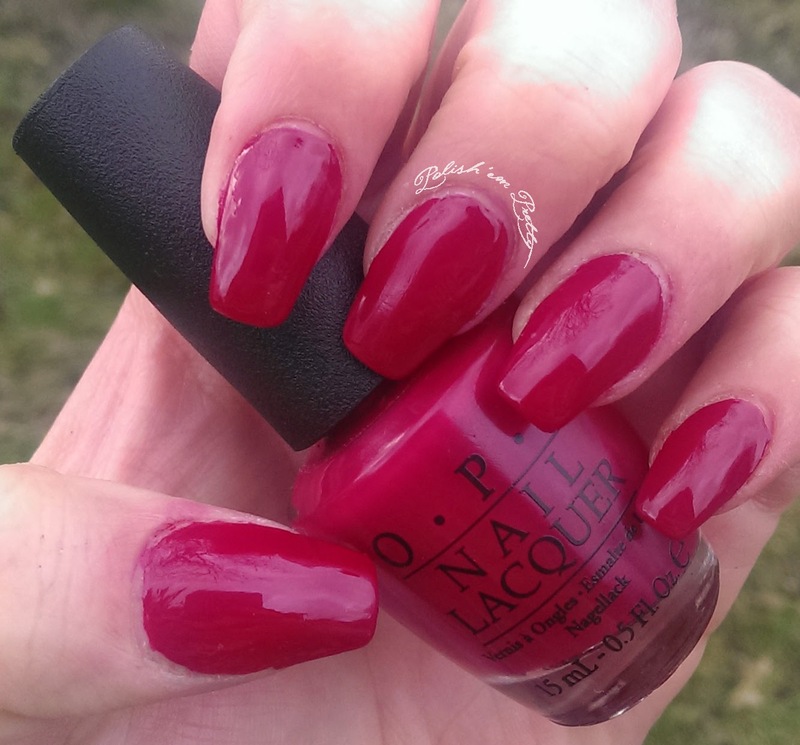 Manicurist of Seville is a berry red creme polish from OPI's 2009 España collection. 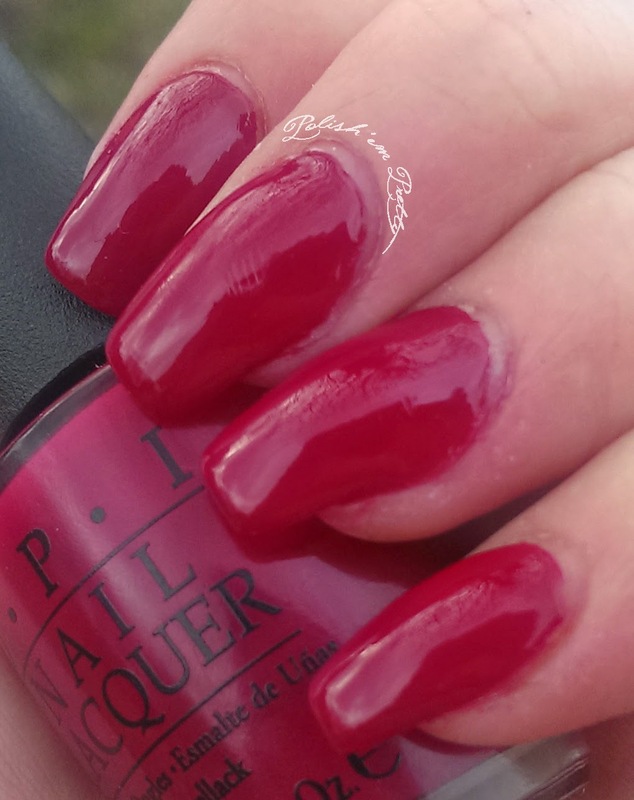 It's a very pretty red that gives your nails a bit of a classic look. 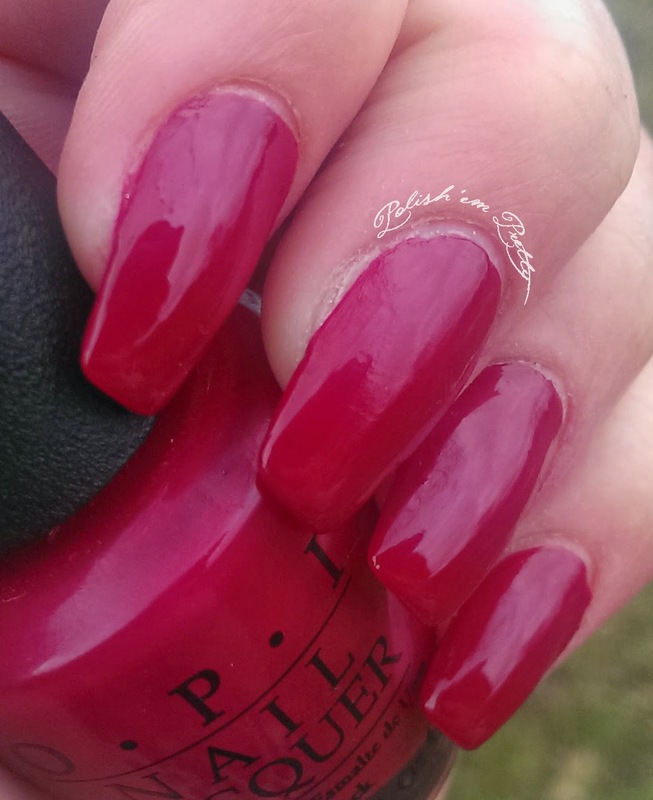 The formula is a bit thin, but it is great to work with and applies easily and even on the nail. 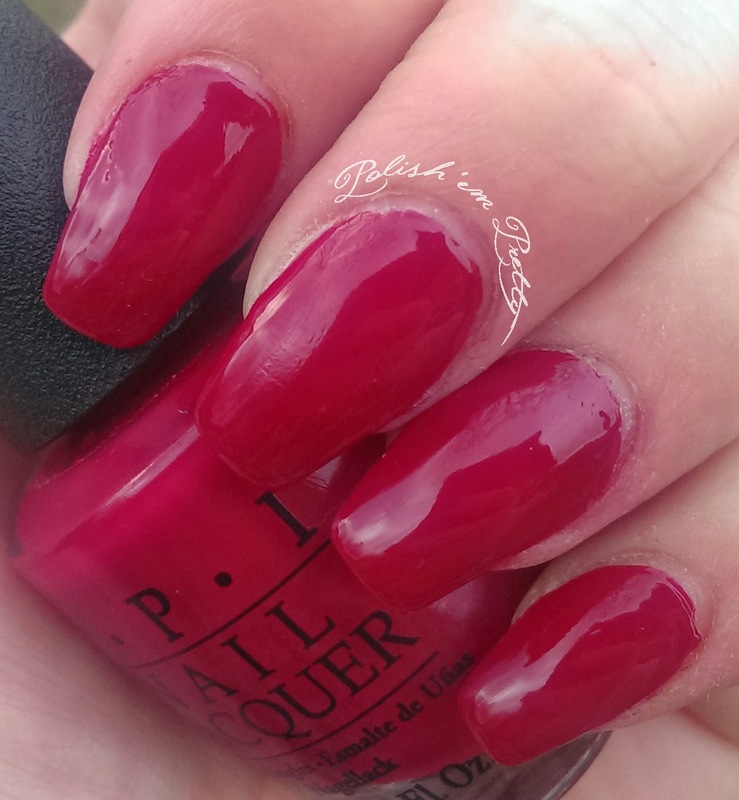 It took me 3 thin coats to be totally happy with the opacity, but it dried fairly quickly so it wasn't much of a problem. 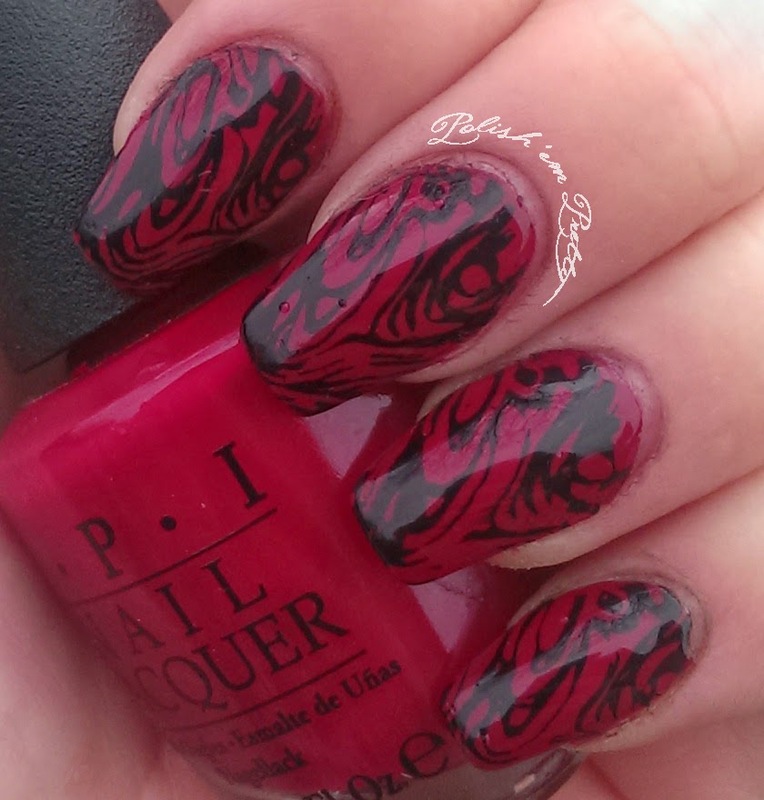 Ok so I wanted to do something with it and I thought of stamping a bit, but I have not been stamping for a while because my nails are too long for the full nail designs I have and I don't like it if there are missing 1-2 mm, but then I found a great youtube video that shows how you can stretch the designs and it's super easy and I don't know why I haven't thought of this before... Take a look at this video. 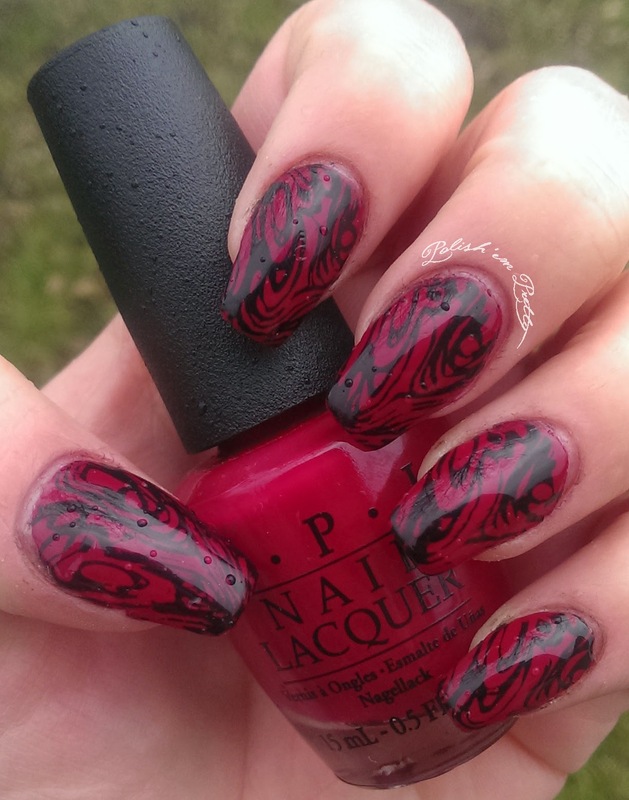 I used a black stamping polish from Dashica and finished the mani off with a layer of top coat.